Tentworld: Are you Prepared for Storm Season? Mother nature can strike at anytime of year quickly, unexpectedly, unpredictably and with great ferocity at times which can cause severe damage, flooding, road closures, isolation, disruption to utility services (water, electricity, gas & sewerage), injury and in extreme cases even loss of life. These effects can be localised to a single suburb or a town however can be as widespread as covering entire regions in severe storm events. Over the Christmas period this year large sections of northern Australia and Queensland have been hit by severe storms causing damage, power outages and emotional strain. Our thoughts go out to our fellow Australians at this time and we wish them a swift recovery. Unfortunately these events are often something we see on the news and think it will never happen to us, until it does. There are, however, steps we can take to help prepare us for these situations to make our circumstances better should we ever have to experience such an event. Better safe than sorry, so they say. The Queensland Sate Emergency Service (SES) has partnered with NRMA Insurance to develop a great resourceful website that outlines simple steps you can take to help prepare yourself for such an emergency. This post will focus on some of the items you should keep in your household emergency kit. 1. Lighting - one of the most common problems people face in a storm is a blackout. 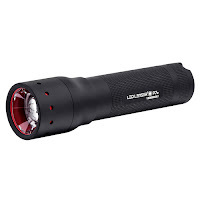 By having at least one good torch and a battery lantern on hand you will be able to provide yourself with light. Having light is essential to avoid fumbling around in the dark and potentially injuring yourself, allows you to asses any damages and additionally the dark can make the situation even more unsettling or scary particularly for children. The Led Lenser P7.2 Torch is a great choice. The Goal Zero Lighthouse 250 has a hand crank to recharge and can even be used to charge your phone! 2. Portable Radio - a small battery operated radio will enable you to listen to news & weather broadcasts and updates on AM/FM channels which will generally continue to be available even if internet and mobile phone coverage is lost. Knowing what is happening around you is key to keeping you and your family safe. It is a good idea to have this pre-tuned to your local news/weather station and keep a list of useful frequencies on hand. 3. Fresh Water & Non-perishable Food - the government recommendation is to keep 3 days worth of fresh water and non-perishable food on hand in case you are isolated and unable to re-supply. Canned goods like chunky soups are a great choice as they are easy to reheat and at a pinch can be eaten cold. 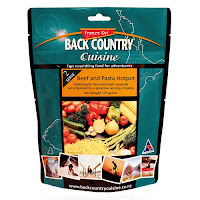 Some people also like to consider freeze-dried hiking food as it has a long shelf life and as such doesn't require replacing regularly. 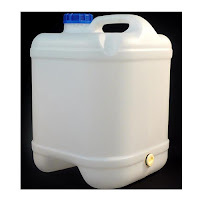 Bottled water is an easy option to store water however a large water container can be more economical in the long run as you need to cycle your supply every 6 months to keep it fresh. 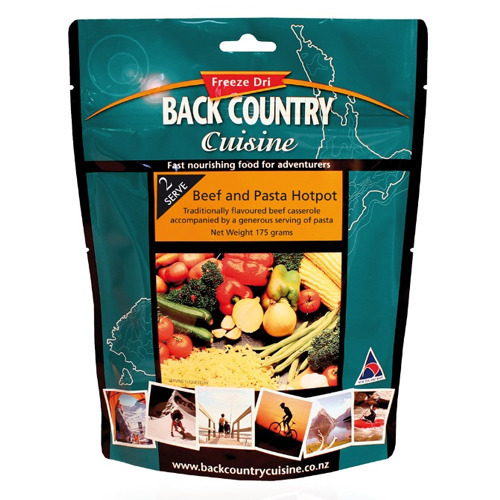 Freeze-dried food has a long shelf life, just add hot water to eat. 4. First Aid Kit & Essential Medication - having a basic first aid kit which you are familiar with the use of the items and is suitable to your family's needs will allow you to remedy simple ailments and help prevent infections. Keeping a few days supply of essential medication (like insulin for diabetics) goes without saying. 5. 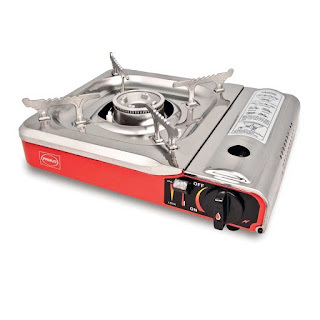 Portable Gas Stove - in many instances you may not have received direct damage but due to an issue elsewhere in the gas or electricity grid the supply may be shut off for safety reasons and to commence repairs. Having a method to prepare a hot meal is great for morale. Additionally the gas stove can be used to boil and purify water if so required. The Primus Butane Cartridge Stove is inexpensive and runs off disposable cartridges which are easy to store and readily available from most camping stores, supermarkets and hardware stores. 6. Batteries & Gas Cartridges - you can never have too many spare batteries or gas cartridges, both items are quite inexpensive these days if purchased on sale and have up to 10 years shelf life. 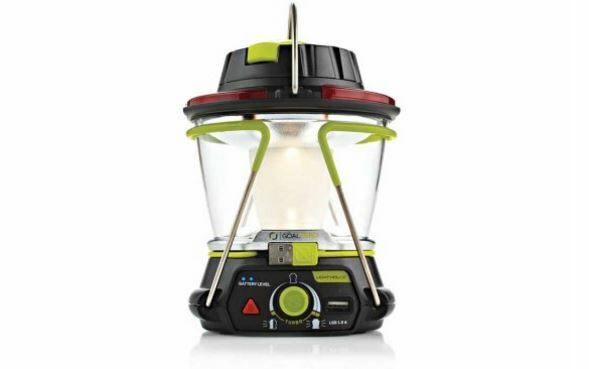 Make sure you have the right sizes for each of your items; torch, lantern, radio, stove and so on. 7. Tarps - damage to roofs or leaking is one of the most common occurrences during a storm. It is not a safe or good plan to attempt to put a tarp up during a storm however it can be used to protect items inside until the initial storm passes and then used to cover any damaged section/s to prevent further water leakage or inundation by follow up rain cells until proper repairs can be made. 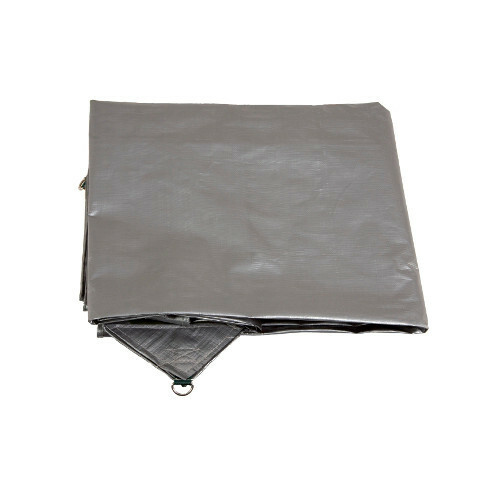 Ensure that any tarps are securely fixed to prevent them becoming additional flying debris. Ultrarig Silver Tarps are heavy duty and can be used for many different applications. 8. Cash - in a blackout event lots of stores will be unable to take electronic payments so it is important to make sure you have a small stash of cash preferably in a mixture of smaller bills as well as some coins for a payphone or vending machine. This list is by no means exhaustive or meant to be a definitive guide. The exact requirements will vary from family to family as well as by geographical location and the likely frequency of such events to happen for your area. However by putting some time into planning and creating a storm emergency kit you can lessen the impact such a situation could have on you and your family's lives. Make sure you visit Get Storm Ready by the Queensland SES & NRMA Insurance at www.stormwise.com.au for further information. Be wise, stay safe and enjoy this wonderful country of ours!